First impressions matter. When you see someone for the first time, your brain is processing their appearance with an incredible speed. It is creating an opinion without you actually being aware that it’s happening. You can’t help it — we are a very visual species. But you should be aware of how important first impressions are. If you have a business website, it’s judged the same way people are. One quick glance and an opinion is formed. 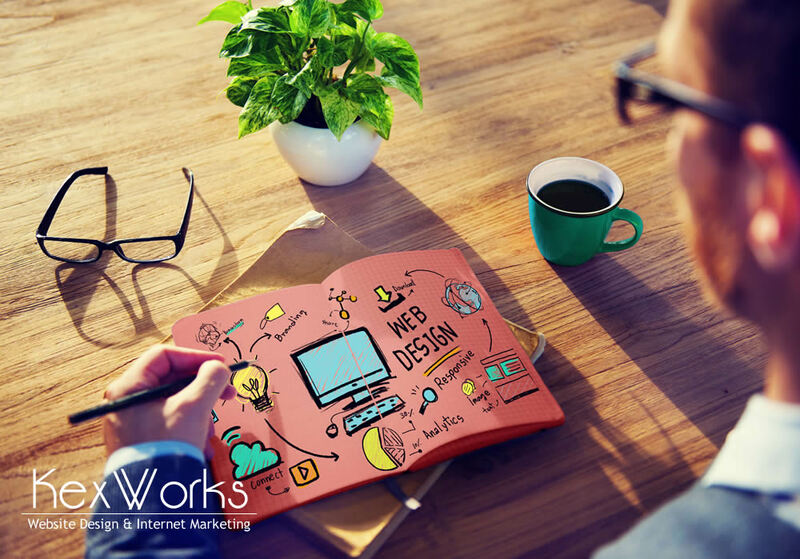 So, when you’re making a new website, you should make sure it creates a good first impression. And the best way of going about it is by making sure it has all the elements a user will expect to see. So let’s start. When people land on your homepage, they have to know instantly where they are, and what they can get there. And it’s your job to let them know. Include copy that tells them what’s your business and what makes it stand out from the rest of the businesses that do the same thing. Chances are your website will have more pages than just the homepage. You want the visitors to be able to move easily around your website and find whatever they need to find. The navigation needs to be clearly visible and easily understandable. Also, try adding a search bar if you have an online store. You have to include social media links somewhere on your website. Why not on the homepage? You don’t have to put them smack in the middle of the page. Somewhere under the fold will do. Just make sure that the people who want to engage with your business on social media have the links to help them do it. There are two reasons why your homepage needs your contact information. One, people who visit your website might want to contact you. It happens when you run a business. Two, contact information is an important trust signal. Your website, and by extension your business, will appear more real if it contains contact information. Content marketing is a great way to reach new customers. If you’re using it, you should include blog highlights in your homepage. They don’t have to take up much space. But you need to showcase the best and most useful content your blog has. If you’re not sure how to seamlessly implement video into your homepage, don’t try to do it. If done wrong, video can slow down your homepage’s loading speeds, which is never good. But if you do it well, video can significantly increase your website’s conversion rates. It’s only a risk if you don’t know how to do it well. It goes without saying that you should include the copy that explains what exactly is that you do. When people are looking at your homepage, they are scanning for things they’ll find useful. Your services are those things. Make sure overviews are clearly visible. They don’t have to be too detailed. Those small images you see on websites that let users know that the website has won an award, or is certified by credit card processors or antivirus companies are very important. They are another set of signals that will boost the trustworthiness of your website and your business. And you want the visitors to trust your business because if they don’t, they will find another business that’s more trustworthy. Remember when we mentioned that humans are visual beings? Well, your visuals have to be top quality. Every image you include needs to be clear, high-quality, and if possible custom made. Keep in mind though that large images have the same effect as badly optimized video — the slowdown of loading speeds. Finally, your homepage needs to have at least one call-to-action. You can include one more, but including more than two can be risky. Let the users know what you want them to do. Encourage them. Your website won’t have high conversion rates if you don’t.